Earlier reports confirmed that Bajaj Avenger 160 is going to replace the 180cc variant soon. Now, the prices of the upcoming cruiser have been leaked online. Bajaj Auto is planning to drop the Avenger 180 out of its future lineup, replacing it with a 160cc engine. The said motor is not new, as it is borrowed from the Pulsar NS160. Our dealership sources have also confirmed that new Bajaj Avenger 160 is going to be launched soon. The new cruiser comes in the wake of upcoming emission norms. The cost of upgrading the 180cc engine to BS-6 is too high. Now, Thrustzone reports that the prices of Avenger 160 have been leaked. Apparently, it goes for Rs 88,500 (ex-showroom Maharashtra), inclusive of Anti-Lock Braking System (ABS). The engine details are unknown as of now, but it will be similar to what Pulsar NS160 has. The 160cc DTS-i oil-cooled 4-valve engine is capable of producing 15.5 BHP and 14.6 Nm of peak torque. The old 180cc engine is an air-cooled 2-valve unit, which produces the same power of 15.5 BHP and lower torque of 13.7 Nm. This engine is considerably old and upgrading it will be costlier. The same engine comes on the Pulsar 180, which has also been discontinued now. Pulsar 180F uses the same 180cc engine, but with 4-valves instead of 2 valves. Coming back to the prices, Bajaj Avenger 160 is even cheaper than the 180cc version. The on-road prices would be anywhere near a Lakh. For braking purposes, it now comes with a single-channel ABS with a disc brake at the front and a drum brake at the back. Suspension duties are carried out by telescopic forks at the front and shock absorbers at back. 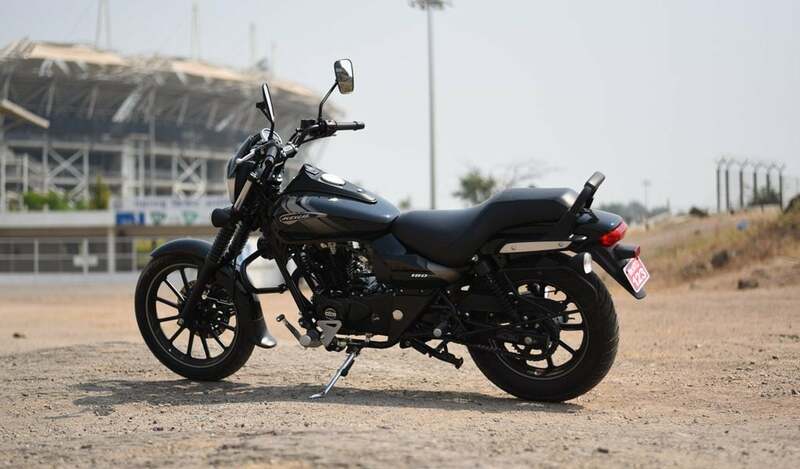 Bajaj Avenger 160 will go against the likes of Suzuki Intruder, which is a 150cc modern cruiser. The prices of Intruder are dearer by nearly Rs 12000-13000, making it compete with Avenger 220. We can expect an official launch of the Avenger 160 with other updated and new bikes with ABS and CBS very soon.